TRIPpatrol™ is a real-time GPS vehicle tracking software program that gives students and parents a critical measure of safety and gives administrators more control over their assets. TRIPpatrol school bus tracking software may be used alone or added to your BusBoss routing software. TRIPpatrol school bus tracking software allows you to monitor and display the positions of your vehicles as they travel their routes in real-time on detailed, zoomable maps. Dispatch routes to driver terminals, helping drivers reduce travel times, mileage, fuel consumption and working hours. 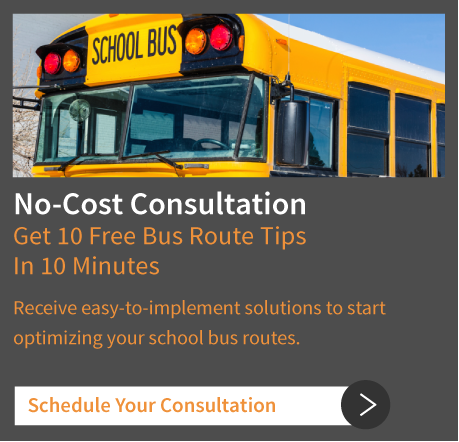 School bus tracking serves as a sophisticated tool to reduce costs for your school district, as well as provide your district with features for safely transporting students to and from school. With TRIPpatrol GPS vehicle tracking software, you have the real-time data insight you need to improve the safety, security, efficiency and accountability of your vehicles and drivers.